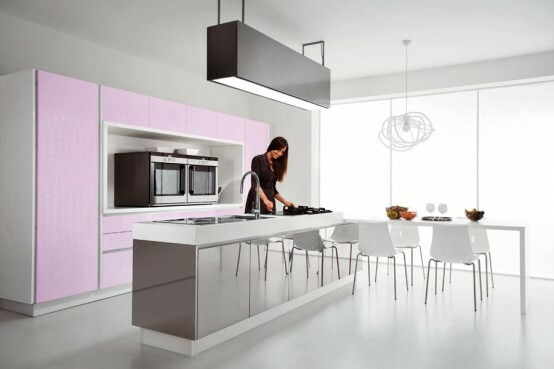 Not only bright kitchens look modern and stylish. 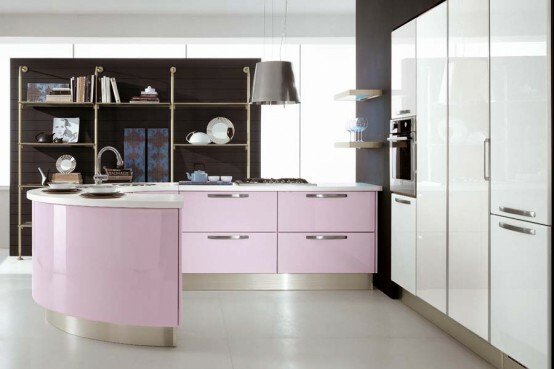 Light violet and pink kitchens by Cucine Libre is great demonstration of that. Below you could find several lovely models from its different collection that are made in very delicate colors. 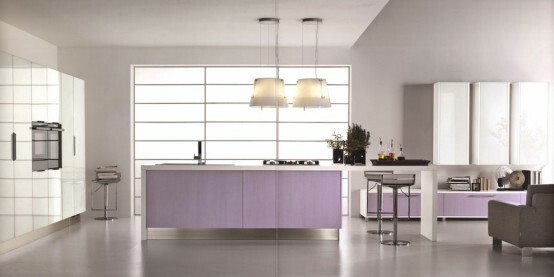 There is also a violet kitchen from its new collection Nilde. 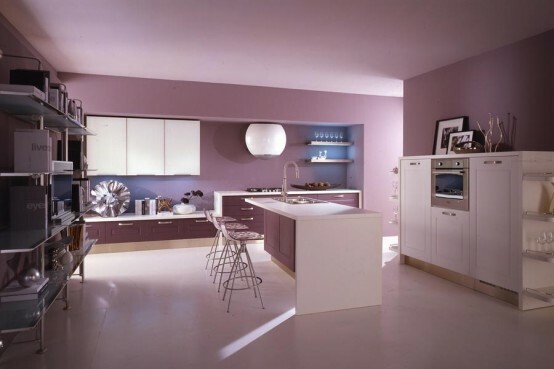 All these kitchen impress by very gentle combination of pink or violet with pure white cabinets. Besides all of them are very functional and comfortable and could satisfy all wishes of any housewife. 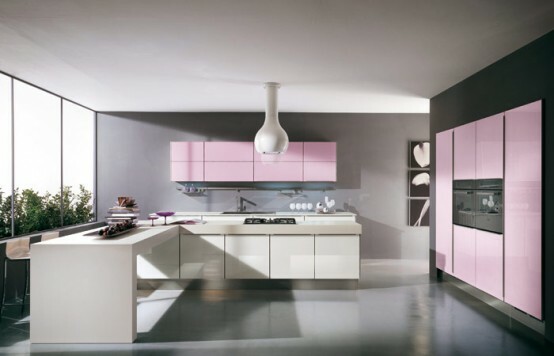 Every collection has a practical kitchen island, which usually has a rectangular shape. 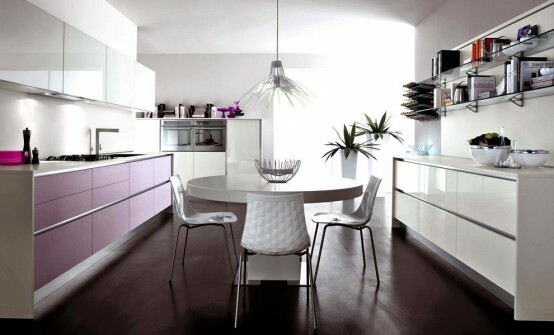 Such kitchen island give enough place to cook and to dinner at the same time. Although there are more unusual islands are available, for example, rounded pink one. 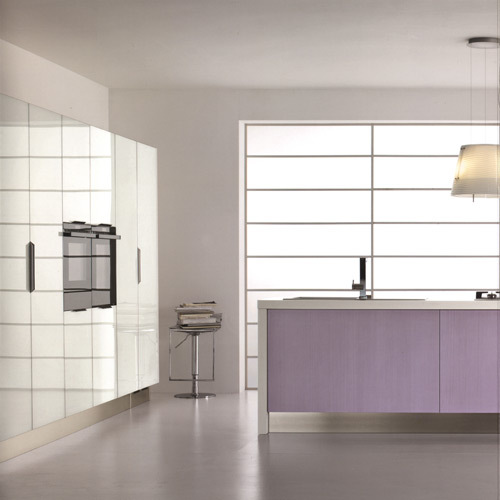 The doors of the kitchens could be decorated by stylish finish or could be glossy lacquered. The first kind look more elegant and refine than second one. 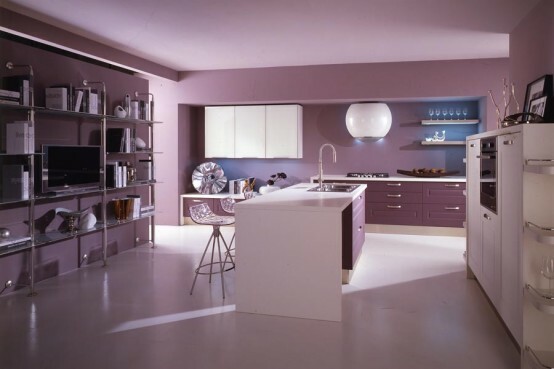 If you want more information about one of these modern violet or pink kitchen then you could find it on Cucine Lube site.